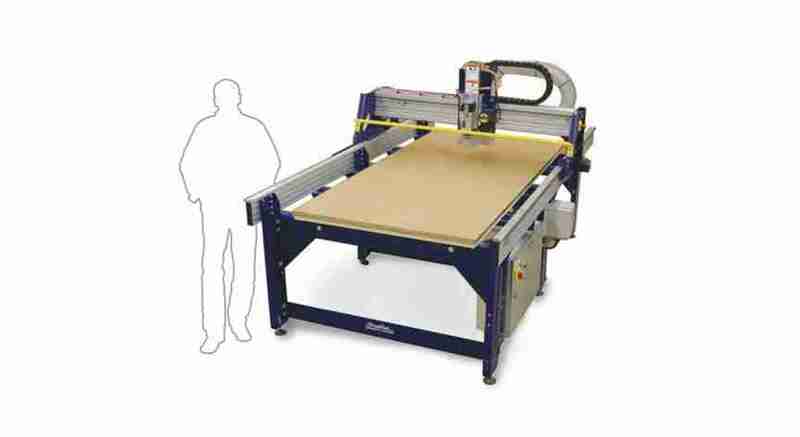 With enough production capability for a three-shift factory, ShopBot PRSalpha tools are our toughest, most sophisticated, gantry-based CNC routers. Using advanced technology for CNC cutting, drilling, carving and machining, the PRSalpha series tools deliver rapid transit speeds of 1800 inches per minute and cutting speeds of up to 600 inches per minute. Easy to configure and re-configure, learn and use, the PRSalpha CNC delivers affordable, full-production performance in digital fabrication of wood, plastic, aluminum, and other materials.